Romania is still influenced by the legacy of dictator Nicolae Ceauşescu. Ceauşescu ruled Romania with an iron fist with his own variant of communism and socialism in the years 1967-1989. How did it happen? 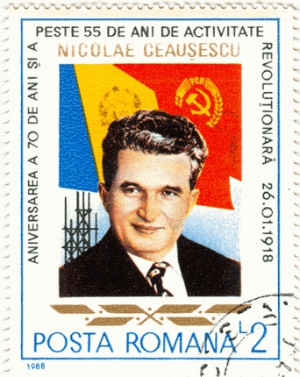 Nicolae Ceausescu was born into a poor farming family on January 26, 1918. Ceauşescu bet to become a shoemaker, but in 1930’s something changed his destiny forever – He joined the Communist Party. During the beginning of World War II Romania was allied with Germany. This resulted in internment camps for Communist functionaries and Ceauşescu was one of them. When the Soviet Union occupied Romania in 1944, Ceauşescu made a meteoric career in the Communist Party. For Ceauşescu it began with a chairmanship of the Youth Organisation. In 1947 he joins the government as agriculture minister and then defense minister. The highest layer of society, he reached in 1954 when he was elected in the Central Committee which also was a part of the Politburo. The Politburo was within Soviet society the highest decision-making committee. Ceauşescu kept himself in his position. This paid off in 1967 when he became president and could be a supreme ruler. It was always difficult for other countries to know where they had Romania. Ceauşescu openly criticized the Soviet Union, which made him popular among Western countries. The standard in Romania increased which also affected Ceauşescu’s popularity. However, there was another side to the coin. Ceauşescu was an autocrat and like other dictators, he suffered from paranoia. Securitate was the feared secret police, just as the Stasi and the KGB, they showed no mercy to secure the state’s survival. Arrests for imaginary crimes, torture, and murder were part of the security police everyday work. 11,000 agents supplied the organization with information. These were in turn, supplemented with observations from the 500,000 Securitate informers. As Romania had a population of 22 million, it was therefore almost crowded with staff from the secret police in the society. You could not trust anyone. The violence was only one of the working methods. The Securitate performed also extensive psychological warfare among the population. Regular wiretapping occurred. With this method, you could spread rumors to cause confusion between various opposition groups. Uncomfortable people disappeared without a trace. Securitate experimented particular with high doses of X-rays to persons was difficult to handle. These were unaware of the radiation and the hope of the Securitate was that these people would develop cancer. 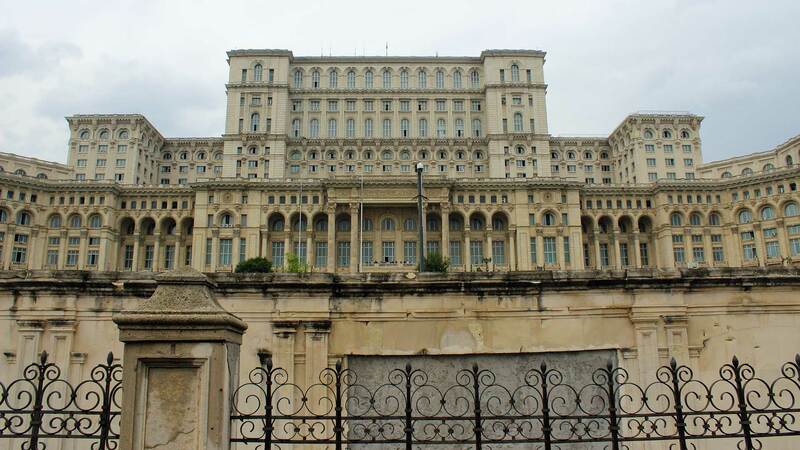 Ceauşescu appreciated magnificent buildings that could strengthen the cult of personality around him. The Presidential Palace with 2000 rooms. In 1982, Ceauşescu visited the North Korean capital of Pyongyang. He was impressed by the broad avenues and majestic buildings. 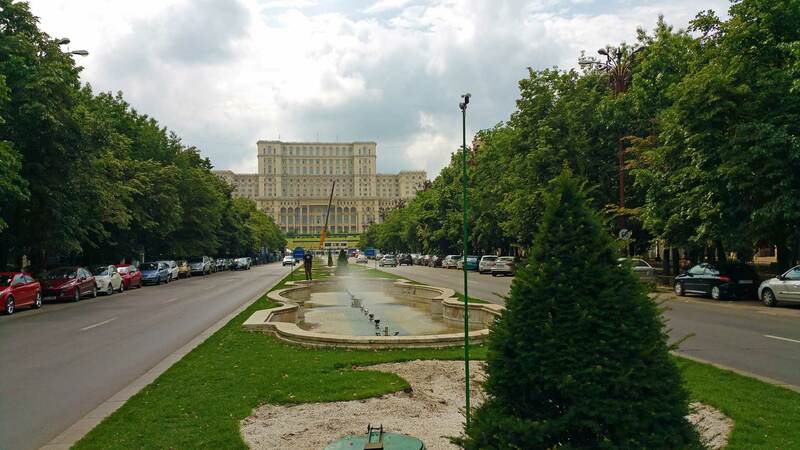 He decided to transform Romania’s capital, Bucharest, in the same way. One-sixth of Bucharest (around 50,000 apartments) was demolished to make way for the grandiose plans. It would become a center of power without any equal town and in the middle a presidential palace with 2,000 rooms. Plenty of historical buildings were demolished to this cause. All opponents were persecuted effectively. Legal possibilities for communication between citizens was strictly limited. Possession of a typewriter required state permission. Forced industrialization started when Ceauşescu forced residents in 7,000 villages to move to the cities. Inhabitants in cities are easier to control, and due to this, the problem with stray dogs in Romania began for real. Bucharest’s subway was built with the purpose of industrialization in mind. In many other big cities, the subway is used to make it easy to travel between the central parts. 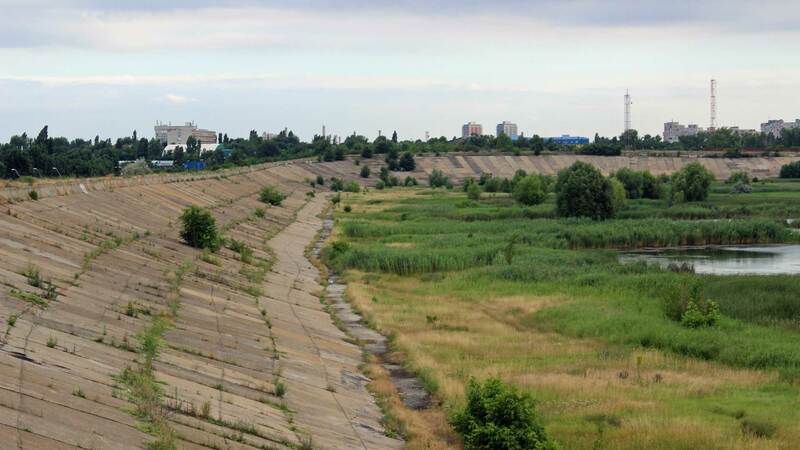 In Bucharest, it was instead planned to transport from the suburbs to the factories. Therefore is the subway in Bucharest, still today, not simple to travel around with. Ceauşescu was guilty of great crisis in Romania in the 1980s that caused much suffering. The generous loans provided to Romania in the 1970s would now be repaid to re-make Romania to an independent nation. A non-completed project of Ceausescu. This was planned to be a water reservoir. 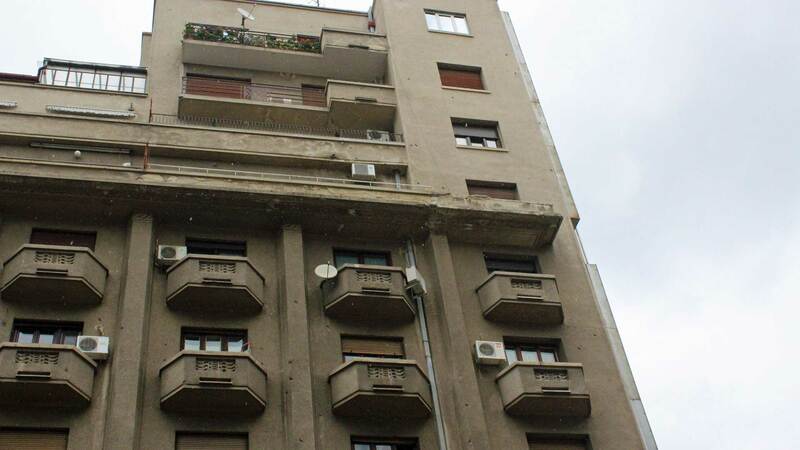 Ceauşescu ordered the demolition of over 7000 villages to accommodate its residents in the newly constructed concrete buildings, but the money ran out before everyone had been given shelter. The crisis most serious stage occurred when food shortages hit the country. To quickly get capital to loans, Ceauşescu sold the entire domestic agricultural sector to foreign speculators. Power rationing was introduced, and most other products were also missing. Nothing got imported. If the society needed something, it would be manufactured inside the country. Therefore, they built several factories, which were specialized in certain products. Sometimes these products were totally unnecessary given the circumstances, and the economic benefit was thus zero. Ceauşescu did not realize that he was living on borrowed time. He believed that the wave of protests that hit other countries in the Eastern bloc would avoid Romania. Despite this, demonstrations began against the Ceauşescu regime. These protests had their big breakthrough when regime forces opened fire on unarmed demonstrators. This was on December 16, 1989. The protests culminated without Ceauşescu realized the seriousness. Instead, he went on a state visit to Iran. For his faithful, he gave orders to ruthlessly suppress all opposition while he was away. 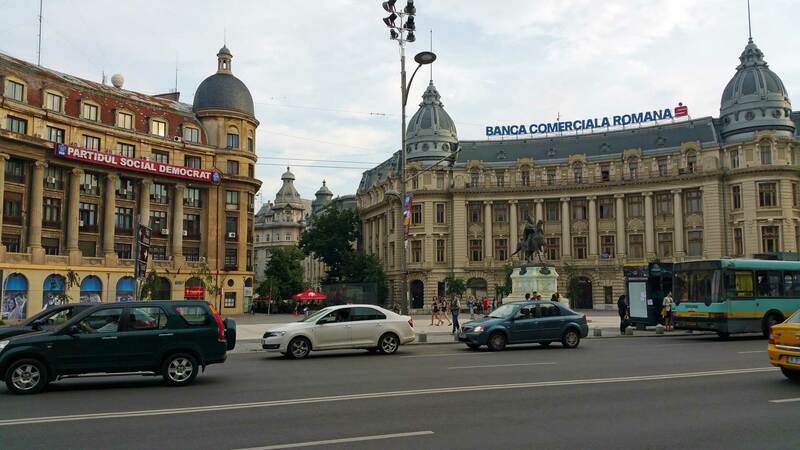 Revolution Square; The place of Ceausescu’s last public appearance. On December 20, Ceauşescu was back in Romania. This day, he would make an appearance in Bucharest in a live broadcast. The location of this prominent is today called “Revolution Square”. Although Ceauşescu and his wife Elena, had hired thousands of regime supporters and put them at the front, his speech drowned in boos from ordinary people. The speech was a disaster. It was broadcasted live and could not be censored. Ceauşescu promised many reforms, but nothing stopped the angry crowds. Instead, the speech ended earlier than planned and the military attacked the demonstrators. 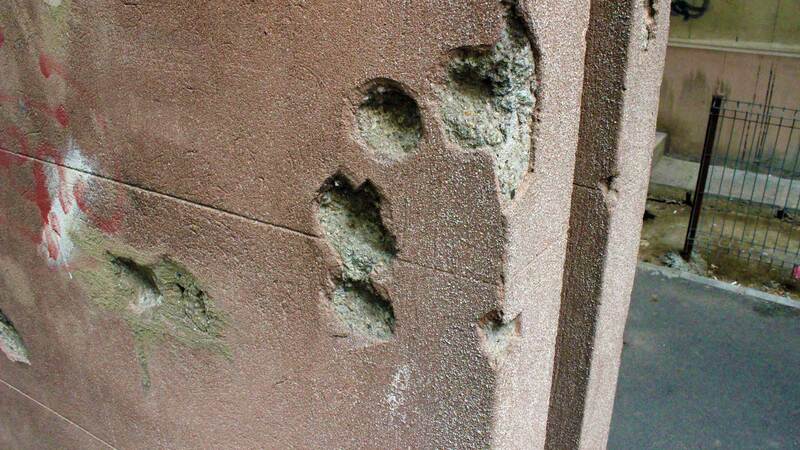 Traces of combat in Bucharest city center. The violence escalated and on 22 December lost the military and secret service the control. The demonstrators stormed the Central Committee building where Ceauşescu was hiding. Hundreds of thousands of Romanians saw Ceauşescu and his wife Elena escape from the building with a helicopter. However, the helicopter was shadowed by the military who switched sides, and when the helicopter landed the captured the couple Ceauşescu. An improvised trial accused Ceauşescu and his wife of ordering genocide and corruption. They were sentenced to death and were shot right after. The entire process was broadcasted on television. Ceauşescu’s feared security police continued hostilities for a few days, before finally being defeated by government critics. Even today live clips from the broadcast remain in most Romanians and the traces of the revolution is still visible as shown above. 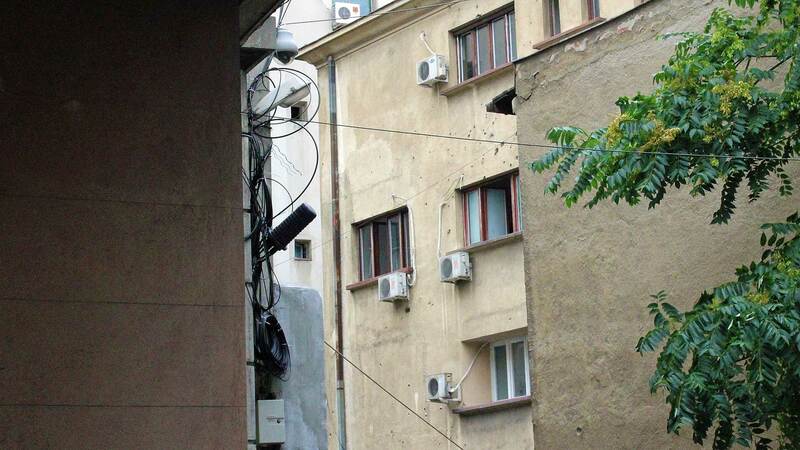 The pictures are from the center of Bucharest and show bullet holes and other damages from combat. Previous article The Right Of Public Access To The Nature In Sweden – Unique! Wild Street Dogs In Bucharest – Why? The Right Of Public Access To The Nature In Sweden – Unique!